The Cageless Birds present A Carolina Worship Night with Jonathan & Melissa Helser and special guest, Jason Upton. Join us for a night of worship in Greensboro, North Carolina as we pour our lives out before Jesus. This event will kick off with a worship set led by the Cageless Birds. The Cageless Birds band is a collective of musicians that are passionate about Jesus and dedicated to excellence in their craft. As a group of friends, they create music and travel the world together while championing each other’s sound and inviting others to discover the Lord’s heart. 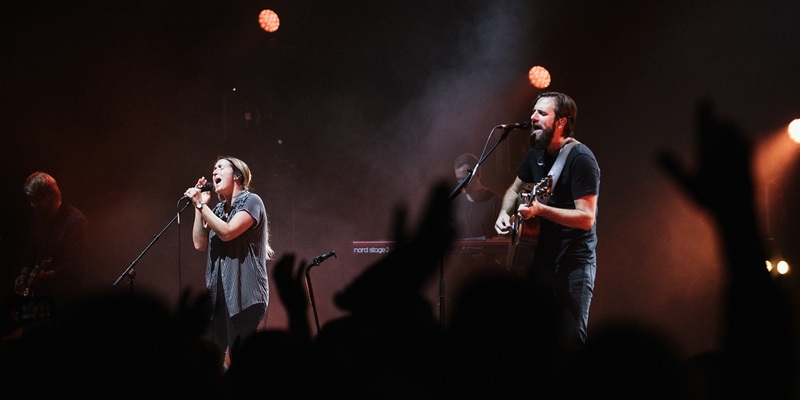 The Cageless Birds set will be followed with worship led by Jonathan and Melissa Helser, the Founders of the Cageless Birds collective, and special guest Jason Upton. Jonathan and Melissa are worship leaders and songwriters whose hearts yearn to see a generation encounter the love of God. The music they have recorded comes from the journeys they have taken and from their collisions with God’s love. Special guest, Jason Upton is a singer/songwriter with the heart of a pastor. Whether Jason is leading people in worship through singing or speaking, Jason does his best to carry the heart of our heavenly Father. His songs reflect a life fully lived in relationship with God, family and friends. We are excited and expectant for what God has in store for this night! We hope you’re able to join us for this special evening of worship in our city. General admission tickets are $16.50. Doors open at 6pm. Each VIP Ticket admits 1 person to a special breakout session with Jonathan, Melissa, and the Cageless Birds before the worship portion of the evening begins, from 3-5PM. During this session, the Cageless Birds will lead an acoustic worship set, and the artists will share their hearts and facilitate a Q&A for participants. VIP Tickets are limited and are $31.50 each. Price includes admission to the worship night and GA seating in a special reserved section. Doors for VIP Ticket-holders open at 2:30PM. Please note that the theatre will be closed between 5-6PM. After the breakout session, VIP guests will be asked to leave the theatre until doors open at 6:00PM for the worship night. Please note: There is an additional $3.50 per ticket service fee on web purchases. To avoid those charges, call the Carolina Theatre Box Office at 336-333-2605 Monday through Friday from noon until 5PM, or visit us in person!